Are you tired of walking the beaten trails? Interested in exploring new places? It is the perfect time to grab your backpacks and rediscover yourself by exploring the unexplored treasures of India. Travel the length and breadth of our country, and enjoy the offbeat corners you have never imagined. With this list of must see offbeat places in India, their obscure nature should illuminate the inner explorer in you! Be your own kind of Columbus and start backpacking. Famous as “The Mini Switzerland” of India, Khajjiar is an offbeat destination located in Chamba district of Himachal Pradesh, 570 km from New Delhi. It is situated at a height of 6500 feet and is gifted with natural beauty and pleasant climate. This underrated hill town is known for its nine-hole golf course amidst lush greenery and breathtaking landscape. Besides the beauty of this underrated hill town, it attracts adventure seekers, adventure sports for paragliding, horse riding, zorbing, trekking. Few places of interest in this destination could be Khajjiar Lake, Khajjinag temple, Kalatop Sanctuary, Lord Shiva statue and Tibetan Handicrafts centre. The best time to visit would be between March and June, as during the cold months, roads are often sealed off due to heavy snowfall. The village is entrenched in customs and beliefs also known as the Little Greece in Parvati valley of Himachal Pradesh. Tourists may be interested in the many places to visit and activities to do near Malana, such as, visiting Kheerganga, a paradise for trekkers as it gives an experience of trekking in the snow, covered with pine trees. A feast for the eyes, the place is situated between India and Tibet. It may not be the most ideal vacation destination because of its rough weather, kacha roads, lack of infrastructure, limited food options and various other reasons, but it definitely is a beautiful place. If you’re looking for some alone time or need a way to rediscover your inner peace, there’s no better way than to lose yourself to the sound of ancient Buddhist chants and prayers amidst chilly winds. Spiti is also an ideal destination for solo backpackers, rock climbers, mountaineers and trekkers as well. The white water rafting experience in the Spiti valley is simply mind blowing by itself. This is one of the most isolated monasteries in the south-eastern Zanskar region in Ladakh, Northern India. Phugtal’s design and isolated location has a spiritual significance because ancient travelling monks sheltered and meditated in the caves here. Nearly 70 monks dwell at this monastery. Counted as the only Buddhist monastery in Leh Ladakh that is accessible only by foot, the Phugtal monastery is nestled on the cliff-side next to the River Lungnak. To reach Padum, one has to take a cab from Padum to Raru, where the road ends, and the trekking starts from there. A day’s or two’s walk will lead you to Phugtal via two small villages—Chatang and Purne. The monastery is about 7 km from Purne. The ethereal, timeless beauty of this destination, makes it look like it has stepped straight out of a book of Advanced Art. 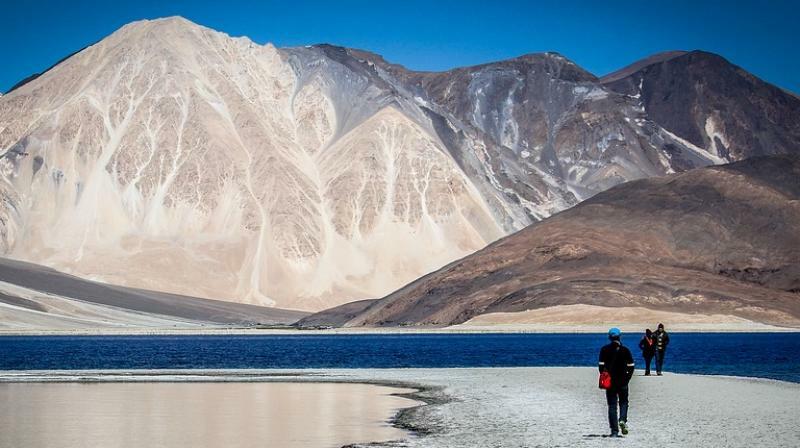 On the Silk route, you will see it about 140 kilometers away from Leh. The rivers Shyok and Nubra course through the valley. Experience India’s coldest inhabited place. You will treasure the pleasures of summer like the people of Drass who are cooped up in bitter winters throughout the year. Drass is a largely unexplored destination where extreme weather and fascinating landscapes literally take your breath away. The valley cultivates exotic vegetation growing in full splendour along calm riverbanks. Drass is notorious for its intense winters, so visit only during the summers.